A few months ago, Chris Paplinski, Nathan Charrois, Kaushal Inna, Andre Brokman, Kelsie Rose and I, Dion Moult, gathered to create a company. 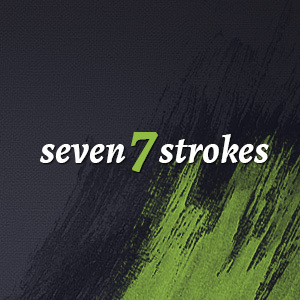 Today, we would like to present to the world: SevenStrokes. SevenStrokes is a web development company but with a few key differences. Firstly, we see websites as a service, not a product. We don’t just build a website, we treat it as part of your larger corporate strategy. We build systems that mirror your day-to-day domain issues. We use a combination of behavior-driven development and code architecture that employs the same daily language that you do. This ensures our system makes sense not just in the software world, but in real life, and thus always move a step towards achieving your corporate goals. We follow many aspects of the open-source business model, ensuring that we assign the most motivated staff that want your site to succeed just as much as you do, and that full inspection guarantees your system integrity. We push for the latest industry standards and keep on pushing, even after launch. Websites are usually short-lived, but we’re changing that with a system architecture that maximises long-term life.